DOX in the fourth quarter of FY 18 has reported the adjusted earnings per share of 99 cents, while adjusted revenue growth of 1 percent to $2.48 billion in the fourth quarter of FY 18. This is slightly above the midpoint of the $980-$1,020 million guidance range including a negative impact from foreign currency movements of approximately $5 million relative to the third quarter of fiscal 2018. Beginning in North America, sequential revenue performance reflected normal fluctuation in customer activity. During the quarter, the company has won several new deals, including a digital transformation award with US Cellular which will support the five-year managed service agreement. Moving to Europe, the company has delivered the best quarter in more than a decade to close a strong year of double-digit growth. 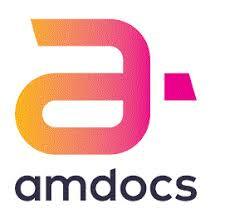 Turning to rest of the world, the company has closed the record year with a solid quarter that includes a new six-year deal to consolidate, modernize, and manage the IT infrastructure of PLDT is Amdocs Intelligence Operation. On November 8, 2018, the Board approved the Company’s next quarterly cash dividend payment of $0.25 per share and set December 31, 2018 as the record date for determining the shareholders entitled to receive the dividend, which will be payable on January 18, 2019. The Board also approved an increase in the Company’s quarterly cash dividend payment to $0.285 per share, which is anticipated to be paid in April 2019, provided that the increase is approved by shareholders at the January 2019 annual general meeting of shareholders. The company has also repurchased $90 million of ordinary shares during the fourth quarter of fiscal 2018.